This post is sponsored by Acorn. Results based on consumer usage and perception study. All opinions my own. The history of my hair is a complicated one. From dying it for the first time in elementary school, to straightening it every.single.day throughout high school, it’s been through a lot. Although I wasn’t the best at taking care of it when I was younger, I’ve spent years playing damage control. I’ve chosen the best shampoos, conditioners, and leave in treatments to help keep it hydrated, shiny and healthy. Over the years I’ve learned that washing your hair at the first sign of buildup only serves to strip your scalp of oil it needs, and in turn forces it to overcompensate with even more. It’s a vicious cycle that I avoid by only washing my hair a couple times a week. This has tremendously helped my hair’s overall moisture balance, but I have to be careful of is build up. I already get dandruff— especially around this time of year— so I have to pay close attention to my scalp’s health. Even for those who don’t deal with flakes, the condition of your scalp greatly affects the shine and strength of your hair. When oil builds up at the scalp, it deprives your ends from natural moisture and generally doesn’t have a good look. The best way I’ve found to break up buildup and distribute natural moisture is by massaging the scalp and combing my hair through from roots to ends. 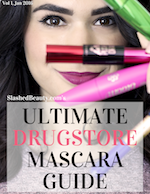 After a particularly dull hair week, I asked Adam to pick up a new brush I was introduced to, the Goody Clean Radiance Cushion Brush, on his Walmart run. 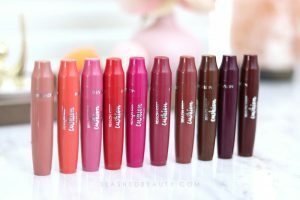 I thought it would be particularly useful because of its unique copper bristles, which help reduce natural buildup produced over time. 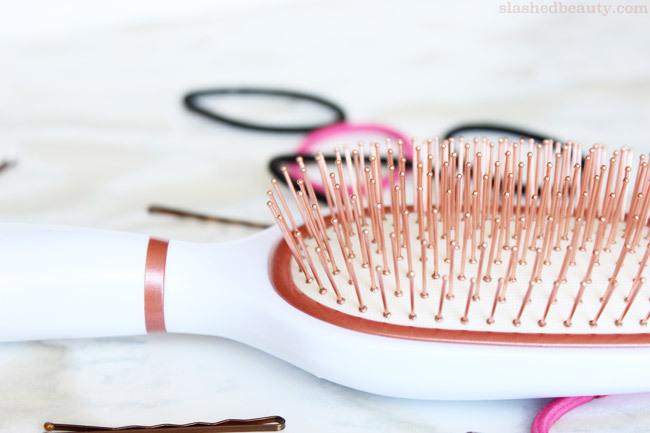 The copper bristles are stiff, but paired with the cushion pad they’re rooted into, they work really well for a good scalp massage. It’s also ideal for brushing natural oils through, leaving less buildup and healthier, more radiant hair. I’ve loved it for stimulating my scalp and restoring the moisture balance in my hair, which is particularly important this season because of aforementioned flakiness. Adam has even stolen it a couple times to give himself a head massage. Aside from how the bristles feel running through my hair, I also really like that they’ll probably hold up a lot better than plastic bristles, and are easier to clean (just dip in water and lemon juice). 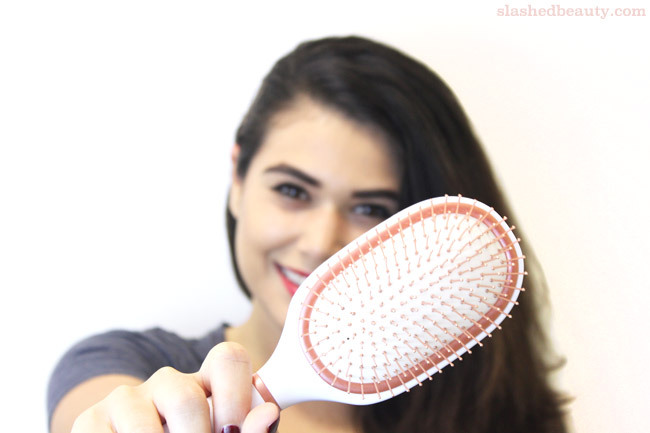 I specifically reserve this brush for scalp massages and brushing dry hair, which I’m doing a couple times a week helping keep my hair look awesome between washes. 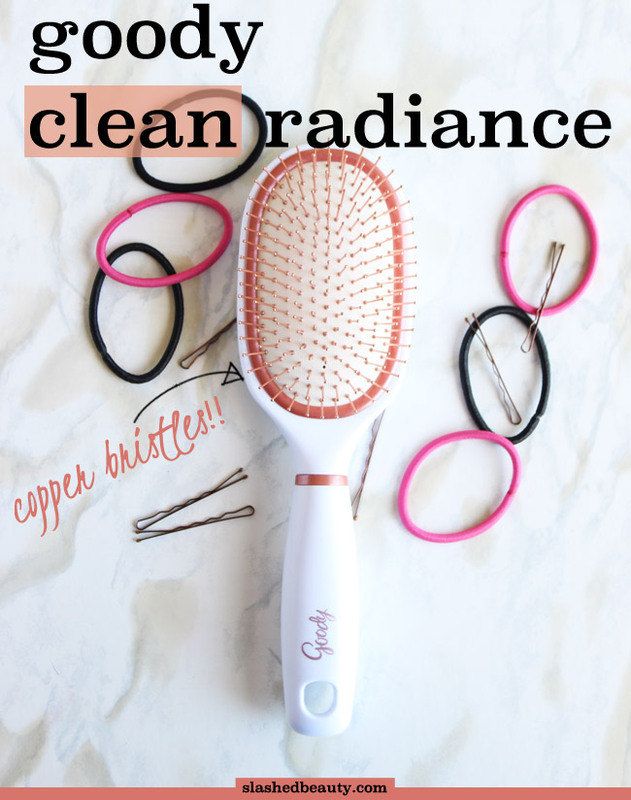 There are three shapes and sizes offered in the Goody Clean Radiance brush line, and they’re all available at Walmart. 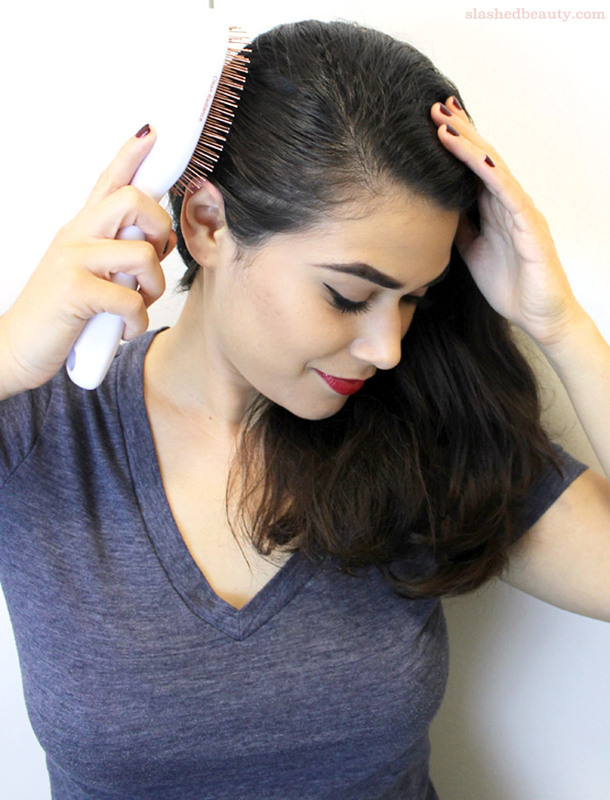 Have you ever thought about scalp health and build up? How do you take care of it? Goody revamped the marketing on this brush, I’m so happy they brought it back out. Me too! I’ve been loving it. Thanks for visiting! This is so pretty, I haven’t seen it in person yet but I’m going to track it down! Sounds great, I would love to try it. Interesting. I’ve never heard of copper bristles before. I need to buy this then! I guess I need to explore the aisles of Walmart more. I’m magpie-ing on that brush so hard. lol It’s so pretty! I’ve never tried copper bristles, but it’s certainly pretty. That’s handy! I should try something with copper bristles. Looks like the bristles themselves don’t pull out much hair either. Rose Gold all the things! Love it!